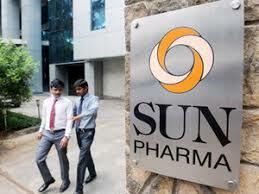 The U S Food and Drug Administration (USFDA) is conducting an inspection at Sun Pharma’s Halol facility in Gujarat. The site produces multiple dosage forms – from tablets to ointments to injectables – and was cleared by the US drug regulator in June, almost three years after a comprehensive remediation process was initiated. The nature of the inspection – whether it is a PAI (pre-approval inspection) or a GMP (good manufacturing practices) – could not be ascertained. When contacted, Sun Pharma said it had no comment to offer. The USFDA inspection at Halol in 2015 had resulted in 23 observations – a set of deficiencies in the manufacturing processes. The next inspection in 2016 resulted in nine observations and the last one conducted in February this year had cited three observations. Interestingly, earlier this month Sun Pharma had announced a product recall of 5,215 units of 10 ml vials of testosterone cypionate injections from the US market. The product was manufactured at Halol. The reason for the recall cited in media reports was the presence of particulate matter – organic and inorganic compounds detected in vials of the product. But it is unclear if the current inspection is actually triggered by the same recall or it is a smaller one only to approve a product or a few products. Pre-approval inspections are conducted if the USFDA intends to examine a site for approval of a single or a few products.